Presently, Benzodiazepines are prescription medicine. Scientists created them to work in the central nervous system, particularly the brain. In many cases, they have different potencies and timeline of actions. In addition, people consider Benzodiazepines as sedative or calming drugs. Used as sedative-hypnotic for individuals having difficulty to sleep. The main function of GABA is to inhibit the brain activity. Here, it allows the neuron to charge negatively and resist any form of excitation. They work in the central nervous system, occupying some protein areas in the brain called GABA-A receptors. As a result, the GABA-A act as anti-anxiety, anticonvulsant and sedative. What are the Common Uses of Benzodiazepines? 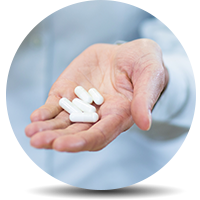 There are many brand names for benzodiazepines brand names for patients with alcohol addiction. They are Ativan, Lorazepam. In addition, for patients with liver problems are diazepam (Valium) and Oxazepam. Severe anxiety that lasts for more than six months and not due to mental disorder, medication or drug or substance abuse. Doctors give Benzodiazepines under the strict supervision. Of course, this is especially to adult patients. It’s because of the sedative side effects that could lead to strong sedation and confusion. As a result, GAD patients should avoid long-term use of benzodiazepines at all cost. Presently, Benzodiazepines like diazepam are a short-term treatment medication for individuals with skeletal muscle tone problems. The effect of the drug is muscle pain relief. They use slow tapering for patients trying to withdraw from their use. This is because of the rebound effect that could lead to more withdrawal symptoms of anxiety and insomnia. In addition, they also classify Benzodiazepines as a sedative or tranquilizer. They are part of the anesthesia to help the patient remain calm. Furthermore, doctors will give Benzodiazepine together with an opiate analgesic to relieve a patient’s pain. For example, it can be during a medical procedure like a dental operation. In many cases, outpatient procedure like tooth extraction and other surgery treatments could last for one hour or more. For that reason, the patient with benzodiazepine may remain awake and conscious. Oddly enough, under the sedative state, patients are able to respond to verbal commands. In same cases, intravenous (IV) or a rectal benzodiazepine is the first-line of treatment. For example, these are patients with cases of prolonged or acute seizure attacks. Are There Adverse Effects of Benzodiazepines? According to several studies Benzos users have an increased risk of incident dementia. What are the Benzodiazepines withdrawal symptoms?